Being a member of GoObidos.com will give the opportunity to enjoy the Advantages and Our Know-How, helping you promoting your own business with more efficiency. We will help you increasing your brand’s exposition, not only in Óbidos, but also in all national context and even in the international context at the same time as we wage on the digital marketing. 1 – Be a part of GoObidos.com webiste (Where to Eat, Where to Sleep, Where to Shop. What to Do), in the Portuguese version, in the English version or in both version with a descriptive article of your business as well as all the generic information about your store with photos. 2 – Participation of your business in Go Card, a discount card in different business areas, having also the right to a sail commission from every card sold. 3 – On month publicity in GoPeniche.com, in the Portuguese version, in the English version or in both versions, an option efficient for specific advertising campaigns or specific year periods. 4 – Publicity in all GoObidos.com social network (Facebook / Twitter / Google Plus / Instagram), in the Portuguese version, in the English version or in both versions. 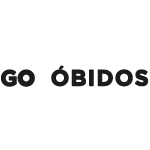 Advertises your business in Óbidos and be part of a promotion network across the country and across borders and ensure your presence in the directory GoObidos.com, together with all attraction and unique sights in Óbidos County. If you want to know more about the conditions to become a member of GoObidos.com, contact us by e-mail [email protected] and the best solution for your business.